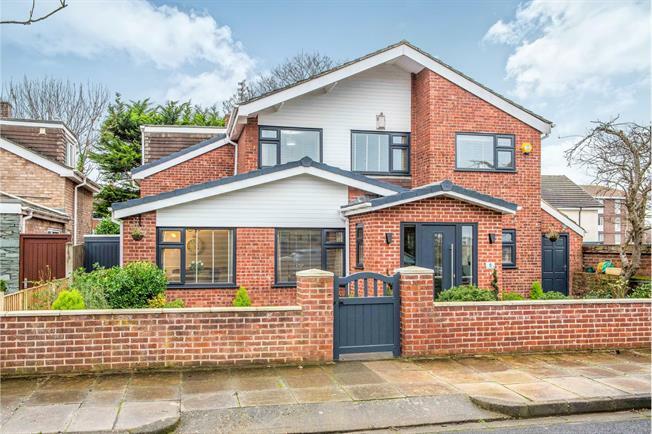 4 Bedroom Detached House For Sale in Liverpool for Asking Price £525,000. Entwistle Green are presenting the opportunity to purchase this highly desirable four bedroom detached family home. The property has been refurbished throughout and finished to an impressive standard. The property briefly comprises; entrance porch, hall, study, lounge, conservatory, sung, fantastic kitchen diner, utility, wc, first floor landing with four bedrooms, master en suite and family bathroom. This beautiful home also benefits from attractive, mature gardens to front and rear. Internal inspection is essential. Spacious entrance porch with a composite glazed panel main entry door with Ultion high security lock, recessed ceiling lights and double power socket, fully tiled floor. UPVC double glazed windows. Entrance into the hall is via a glazed wooden door with Parquet wooden flooring throughout, impressively decorated with wall lights. UPVC double glazed windows. Cast iron fireplace with feature surround and living flame fire inset. Double glazed French doors to garden and to Conservatory. Radiator. Parquet flooring. Plus 8"8" x 8"0" Built in storage cupboards, double glazed UPVC window. Inset contemporary Gazco gas fire with realistic log fuel effect and black granite surround and radiator. Double glazed windows. Double glazed double doors to garden. Tiled flooring. Fitted handleless two-tone matt wall and base cupboard doors with granite work surfaces and upstands and granite windowsill, undermounted bowl and a half sink with brushed chrome mixer tap. Integrated appliances include a four zone AEG induction hob, AEG extractor, AEG double oven and combi microwave, wine cooler and free-standing American fridge freezer. 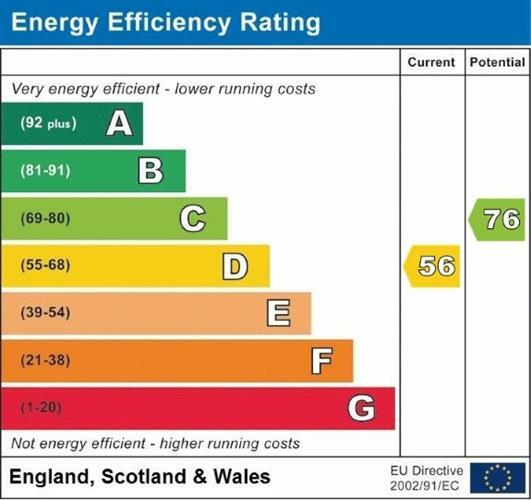 Pull-out kidney shaped corner units, LED underlighting, LED plinth lights, ceiling spotlights, two designer flat radiators, double glazed UPVC windows, double glazed French doors to the garden, porcelain floor tiles. Shaker-style storage cupboards wall and base mounted units with stone effect worktop, stainless steel single bowl sink with chrome mixer tap, waterproof cushioned flooring, plumbing for washing machine. Fully tiled walls, built in cistern with soft-close toilet and mirrored wall cabinet and Parquet flooring. Built-in cupboards, built in L shaped desk and three drawer cabinet, wooden strip flooring. UPVC double glazed window. Fitted bedroom furniture, fitted bedside cabinets, wooden floor, TV aerial point and designer flat radiator. UPVC double glazed window. Large walk-in shower cubicle with rainfall and handheld multi-function shower-head. Fully fitted vanity cupboards with hidden cistern and wall-mounted push plate. Fully tiled walls with feature tiles, fully tiled floor and designer radiator. UPVC double glazed window. Built in fitted wardrobes with TV aerial and powerpoint and built in soft-close drawers. Wooden floor and UPVC double glazed window with double radiator. Measured to fitted wardrobes. Double glazed uPVC window. Wood flooring. Radiator. Measured to fitted wardrobes, built in desk and drawers and wooden floor. UPVC double glazed window, with radiator. Modern four piece fitted bathroom comprising of a full glass shower cubicle with an electric shower. Bath with handheld shower. Two drawer vanity sink unit with matching mirrored wall cabinet with shaver socket inside, fully tiled walls with feature tiled wall in the shower and above the bath and fully tiled floor. Extractor fan. Designer radiator with UPVC double glazed window. Attractive front and rear gardens with laid lawn and additional raised decked seating area to rear with sunny aspect.